At Athento, we’re always pursuing new challenges in order to make document management as easy as possible for you. Therefore, we have created a new and improved image preview. You can now identify the documents and images you are interested in quickly and easily and will find the process of working with digital assets optimized. In document view, you can click on an image to view it, choosing the method to visualize it. We’ve incorporated the option to zoom in and zoom out as well as rotate any image as you like. You can also adapt the format to the computer screen. What’s more, images can be previewed without opening the document. From outside the content, in the document list, the images will appear if you leave the cursor on it for a few seconds. This way, you can see images more quickly and practically without having to open to the document to check the multimedia content. That’s not all, we’ve gone above and beyond with this improvement; in addition to previewing the main image from the document list, you can see the images each file contains in a slideshow. This option is also possible for documents that come up as search results. To use this feature, click on the eye icon in the document and click the right or left arrows to move the images in the direction you want. This way, you can go through the multimedia content of all of your projects using this new, flexible, and practical feature. To round out the new features we offer, you also have the option to preview images as a slideshow from related documents. This possibility could be very useful, for people who work with dossiers within the Athento document manager, for example. 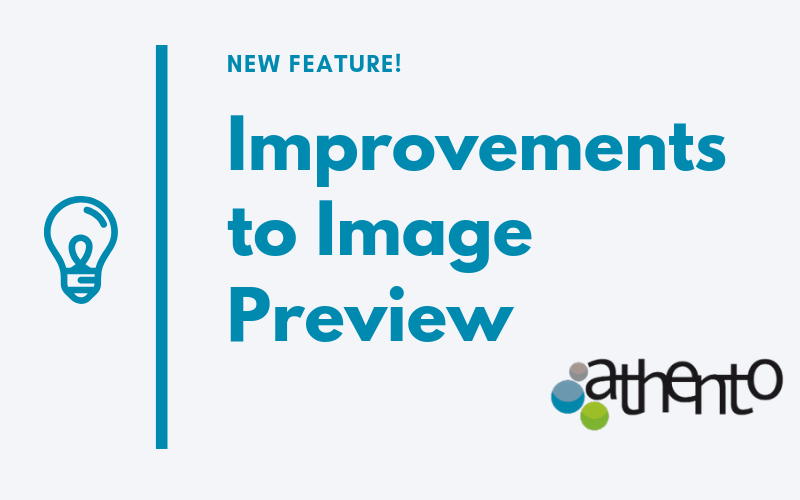 You can now start using this important update to Athento’s document manager software and enjoy a more comprehensive, rapid visual experience.